Sam is blind and was going on a train journey. An announcement was made saying that all passengers were expected to familiarise themselves with the safety notices. Sam requested a Braille version of the notices, but found that none were available. Sam did not want to go to court but felt that the rail company should comply with its obligations under the Equalities Act 2010. The rail company agreed to attend mediation. 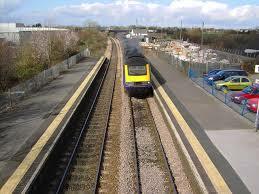 A very constructive mediation meeting took place and the rail company agreed that a Braille leaflet should be made available on all train journeys. Positively, it was also agreed that all staff working on the trains would receive Disability Awareness Training. Sam was happy as he felt he achieved an outcome he might not have achieved in court. The rail company was happy as they could acknowledge the advantage to them of having well trained staff and they had not incurred the expense of going to court.